Biafra Worldwide Million Man call Alert !!! 1. Stop the Buhari led government of Nigeria from massacring peaceful Biafran at their villages and to release those unlawfully incarcerated by the murderous Police and army of Nigeria. 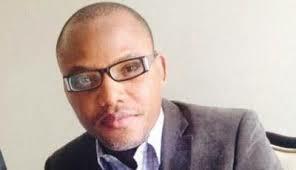 Also seeking an International protection for the live of the IPOB leader Nnamdi Kanu. 2. We urge the United Nations to send a peace keeping force to protect the lives and properties of Biafrans, especially those living in the north, as the threatened genocide against Biafrans by the Northern Jihadists of Nigeria is scheduled to commence on the first day of October 2017. 3. Biafrans are generally seen as enemies of Nigeria. They are defenseless and subject to incessant massacres without recourse to justice. The international community has a moral obligation to stop the endless genocide of Biafrans in Nigeria.